‘Tis the season for holiday parties and I’ve already been planning my fair share of entertaining recipes! One event we have coming up for my husband’s work has the added challenge of needing to cater to a large crowd-the food was covered but I needed to brainstorm the drinks. I wanted something easy to prepare that would taste great and work for a large number of people. 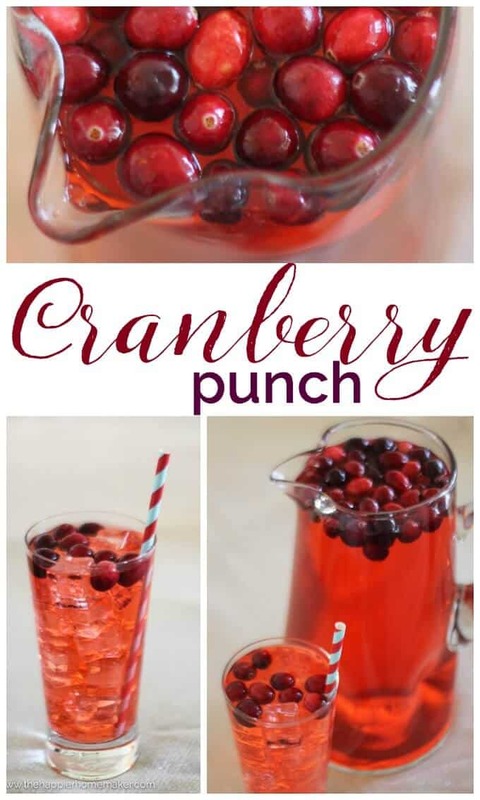 I decided on my favorite variation of Cranberry Punch and it fit the bill perfectly! It takes less than 5 minutes to prepare, is cost efficient for a crowd, and is always a huge hit! 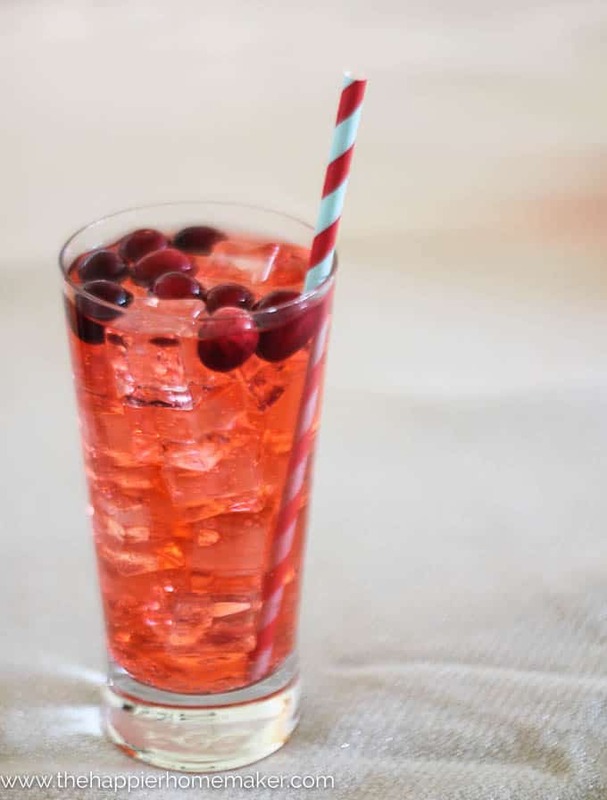 Helpful Tip: I froze my cranberries ahead of time to help keep the drink cold all through the event! 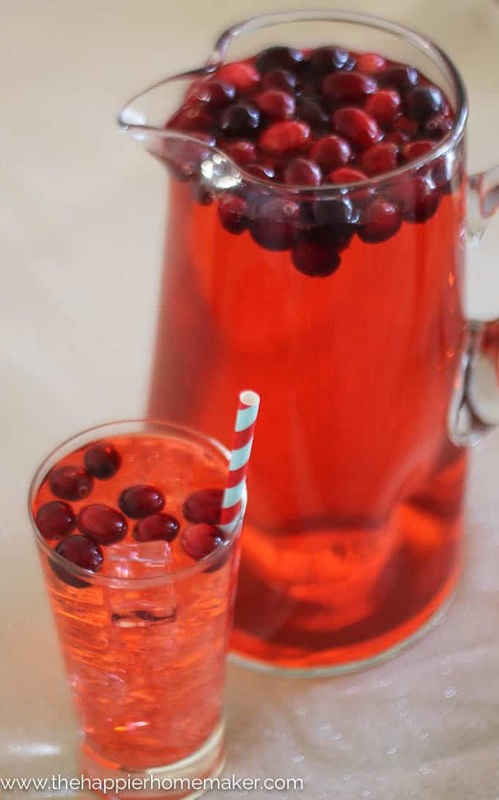 Serve a crowd inexpensively around the holidays with this easy to make Cranberry Punch. 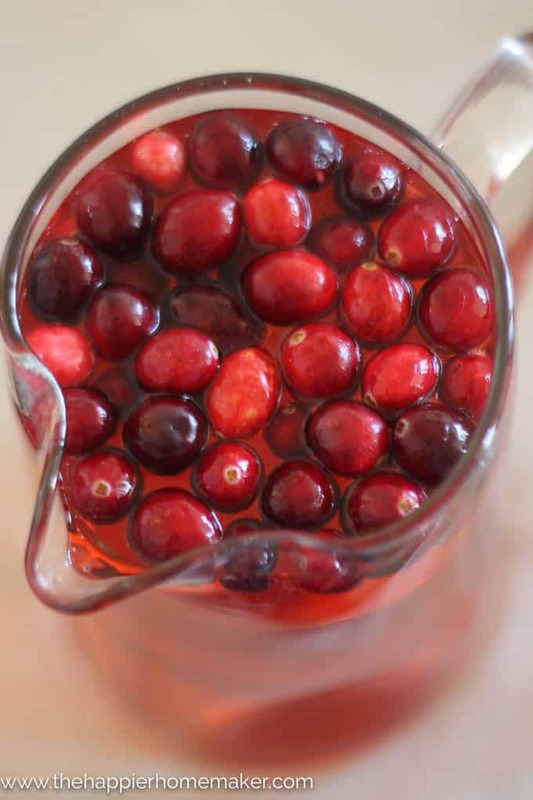 Serve with frozen cranberries if desired to keep cold. Isn’t that one of the easiest recipes ever? 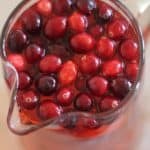 The flavors all combine perfectly to make a real crowd-pleaser, and it’s perfect for the holidays! Do you have any upcoming holiday parties? What are your favorite recipes for big events?